Many of us children of the '90s and early 2000s have had a few bad eyebrow moments, but my decade-long brow saga is one for the history books (that is, if history books covered tragic eyebrows, which, thankfully, they do not.) Trust me when I say that I have made every heinous brow mistake possible, and thanks to social media, there is photographic evidence of all of it. This is not a story about my worst brow moments—it's a story about a recent brow success (which I can't wait for you to try yourself). I have always been confused about what shape and color brows look best on me. Naturally, I am a brunette with dark, totally straight-across brows. This look may be cute now, but when I was in middle school, skinny, high arches were still all the rage. To fit in, I—like many of us—plucked and waxed my brows into oblivion. That habit lasted until about 2012 when the bold, angular Instagram brow shot to popularity. By that point, I'd dyed my hair a brassy shade of blond that went all the way to the root, but for some inexplicable reason, I decided to fill in my brows every day with a pomade about seven shades darker than any hair on my head. I looked downright scary. That phase went on for one shameful year (a year that still haunts my nightmares—you can catch a glimpse of it here), until I finally toned down my blond hair, darkened my roots, and switched to using light brown brow gels and pencils, which I applied with a delicate hand like a normal, sane human being. Thankfully, I think my worst brow moments are behind me, but there is always room to evolve. About two weeks ago, I found myself chatting with Benefit Cosmetics Global Brow Expert Jared Bailey, who slightly tweaked my brow routine in a way that looks way more natural and modern. It's a simple trick that makes a subtle but important difference. Curious? Keep reading to learn how to fill in your eyebrows with pencil in a way that gives you your most believable, natural eyebrows yet. There are two key elements to this eyebrow trick that you need to get right: the shape of the pencil and the shade. For the past year or two, I've been using thicker brow pencils that have a sort of tear-shaped tip, like Benefit Goof Proof Brow Pencil ($24) and Nudestix Eyebrow Stylus ($24). And out of fear of re-creating the too-dark, too-thick Sharpie brows of my past, I was choosing shades like Dirty Blonde, Medium, and Light Brunette. 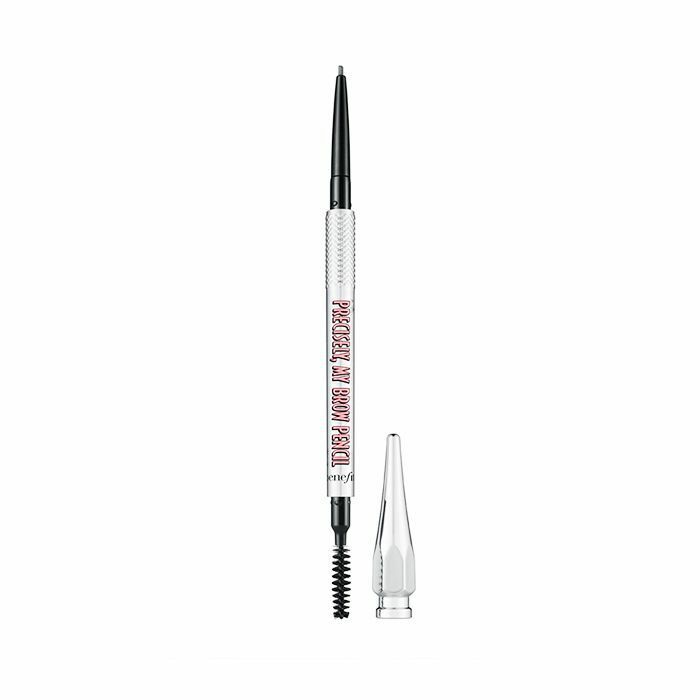 There's nothing inherently wrong with this technique—the tear-shaped tip made the brows quick and easy to fill in, but the soft, lighter shade guaranteed that my brows never looked Crayola-crazy. The issue with the first application is that it was never going to look 100% natural, and there are two reasons for that: First, the tear-shaped pencil, though fast and easy to use, only allowed me to create thick strokes, so they didn't look like individual brow hairs. And second, the shade was clearly a lot lighter than the base of my hair color. Bailey advised me to choose a super-dark brown color—almost black—to match my base color. At first, this gave me horrible flashbacks to my brassy blond hair and caterpillar brows. But then Bailey suggested that I use a super-skinny pencil, like Benefit Precisely, My Brow Pencil ($24) in Shade 05 (I was using the brand's Goof Proof pencil in 02 or 03 before). 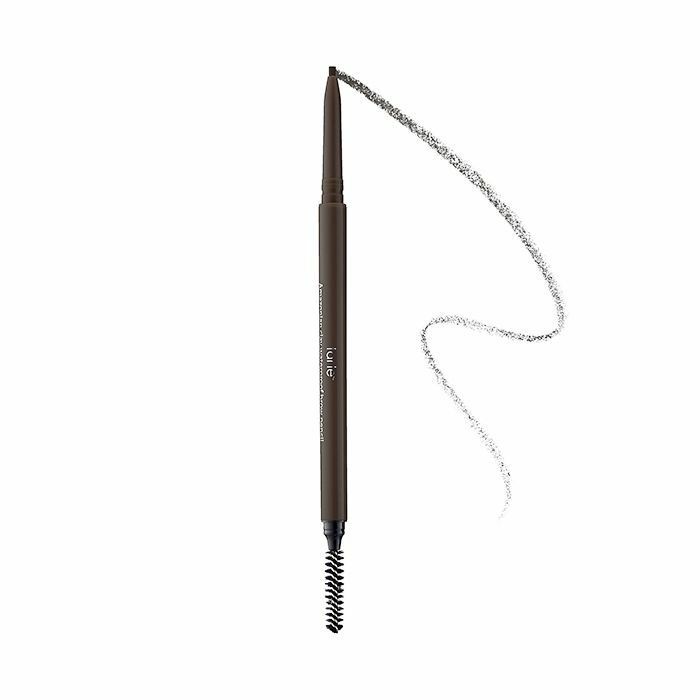 By applying this dark color with an ultra-fine tip, you can create the look of realistic brow hairs where you need them, as opposed to simply shading over the whole brow. I'd actually tried a similar technique a couple times before, using a brow pencil from the UK brand, High Definition. 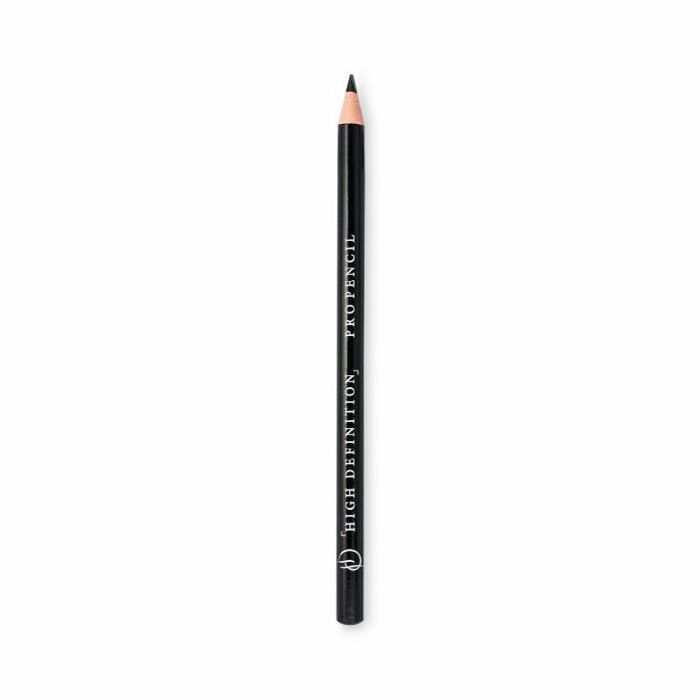 This one-of-a-kind pencil is black as night and has a pointy tip that you manually sharpen, allowing you to flick strands of color onto the brows, one by one. (Check out the full story on that brow pencil here). As you can see, the looks in the photos above are all passable, but the ones created with a skinny, darker pencils look more like they naturally grew out of my face. Which is the goal, after all, isn't it? Which brow look do you prefer? Sound off in the comments below!